A few months ago I took the plunge and got an electric car! It is something I have had an interest in for a number of years, and a test drive of the i3 convinced me (can't yet afford the Tesla). I want to write down a few thoughts I have had on it - from a User Experience point of view. This car is basically a computer on wheels, so how easy is it to understand, navigate and perform tasks? The default driving mode is Comfort, when you turn the car on it will be in comfort mode. You can then tap down to go into Eco Pro mode, which stiffens up the accelerator, conserving some energy. You also have a further mode by tapping Eco Pro, once again to access an additional Eco mode, called Eco Pro+, which turns off the AC and restricts the car to 56mph. Now, my issue with this is that Comfort shouldn't be the default mode, and it should be called "Sport" - as it is very punchy. 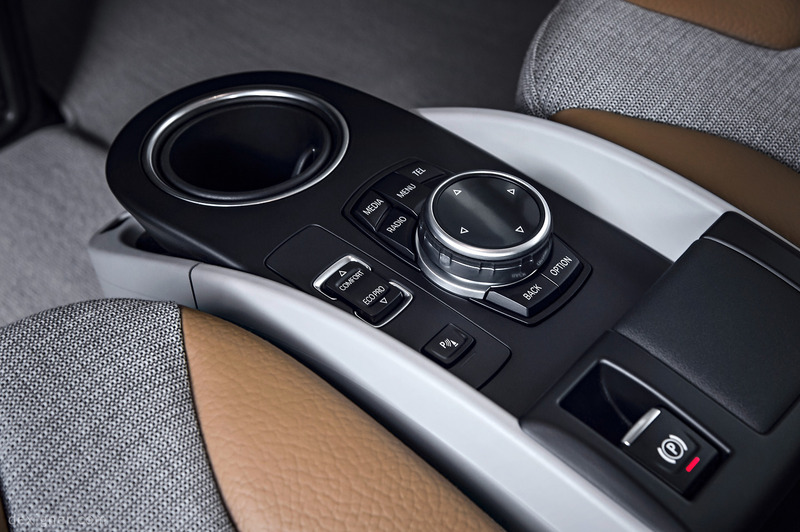 In Comfort mode you will easily beat mostly any car off the lights - potentially giving passenger's whiplash, which is far removed from "Comfort". It just strikes me that BMW got a very basic thing wrong here. The default mode should be in the middle and called "Comfort". You should be able to just get in and drive in that mode. Then, if you're looking to give it a bit more welly - tap up to go into a sport mode. 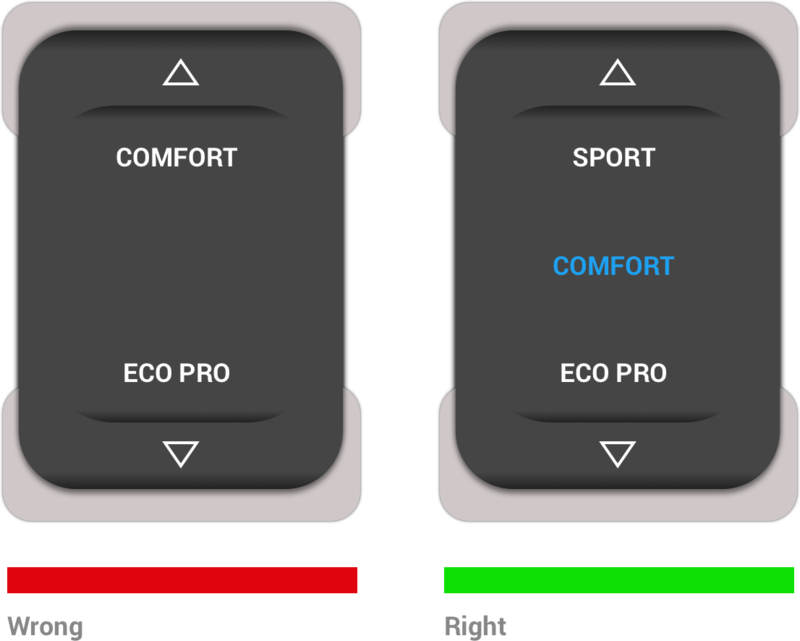 Alternatively, to conserve energy - tap down to go into Eco Pro mode. Initially I liked the iDrive (or ConnectedDrive... I dunno which it is, or if they are both the same), it was a great improvement on the "Infotainment" systems of the other cars I have owned. The scroll wheel allows quicker navigation of the main functions, Radio, Media, Sat Nav etc - plus there are nice big shortcut buttons to access those functions. Sorry Elon, muscle memory is a good thing and definitely makes for safer driving (whilst we still have to actually drive the car). The physical wheel and buttons work well, better as you learn the remember their placement. Better integration with 3rd party applications. There is no way to use Waze, which is my go-to app for getting me places. Instead my options are the terrible built-in Sat Nav, which requires about half an hour of "scroll", "select", "scroll", "select" each and every letter of the address. It would be great to be able to have CarPlay or even the ability to airplay content to the screen on dash. Improved UI, with easier visibility of key information. It would be a lot simpler to just display this on the large centre screen next to the time. Especially as I always like to have the remaining battery percentage displayed - as I used this as my gauge rather than the range "estimate" that the i3 displays. Maybe it's just me, but I tend to want to know the temperature quite often and can't understand why it is hidden so deep within the UI. A very simple improvement would be to add the outside temperature to the main UI. Why can't the wheel lift on the navigation? This would allow a further level of interaction by allowing you to go back up a level. Finally, I want to write about my experience of using the mobile app that links with the i3. I love the fact that with EVs essentially being computers on wheels, you have the ability to connect with them in a way not really seen in standard cars. With the iRemote app, I can see how much battery remains, along with estimated range (which I never use, battery % is a better indicator). I can also set the departure times, so that the car can charge overnight (on a cheaper tariff) and be ready for when I need to leave. If it is winter I can set the car to precondition, which basically gets the heating going about 15 minutes before you leave. This is great when it is icy outside and the neighbours are all scraping their cars, I walk out to a defrosted car that is toasty hot inside. If it is below 4° C outside, then set the car to precondition. Also, there is no ability to set the cabin temperature from the iRemote app. You can honk your horn, or flash your lights - both kind of pointless features that I am not sure really why they implemented them over usefull features. Another great feature would be to link up your dashboard alerts with the app. For instance the other day I got an alert on the dash to let me know that the water level in the washers was low. After the initial alert graphic, there just remained a small exclamation icon within a tiny triangle. Once home, I forgot about it - but if the app was able to integrate with these alerts, then it would know when I arrived home and be able to ping me a reminder on my phone, to go and fill the water. You forgot to plug me in, you muppet! Likewise, the ability to have the app alert me if I haven't plugged the car in by a certain time, when it knows I am at home. This would have been welcome on the morning when I went to leave for work to find I had forgotten to plug it in the previous evening (only happened once so far, and luckily had enough range to get to work and back). 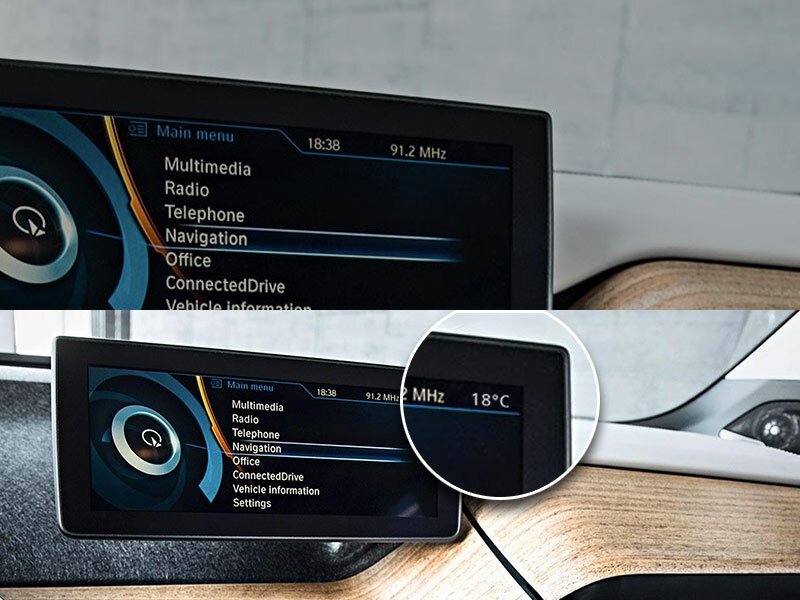 I am sure that there are plenty more great things that could be done with just the mobile app (and also the in-car UI), to make owning the i3 even more of a joy. Perhaps I will do a concept piece to visualise some thoughts on it, watch this space.